One prominent issue with the last few episodes of The 100 has been the show’s insistence on creating life or death stakes for each and every character. It’s a flaw that’s familiar to regular viewers, as nearly every season has included a stretch of episodes where the stakes just felt too big, the scope too large to really handle material that’s best suited to more isolated, nuanced storylines. After all, this is a show driven by characters and our attachment to them. 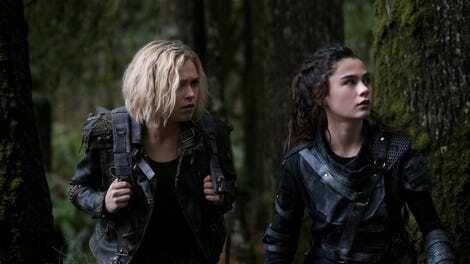 The reason The 100 is such a success isn’t its apocalyptic scenario or its propensity for violence—there’s plenty of that on TV right now—but rather its understanding of character and how that can create tension and emotional payoff. After weeks of sluggish, familiar storytelling, “The Warriors Will” is a welcome bit of character-based drama that brings the season’s larger arcs into focus. One of the main reasons this week’s episode succeeds in ways the last few episodes haven’t is the fact that the focus of the story shifts. “How We Get To Peace” and “Sic Semper Tyrannis” were almost exclusively about the impending war between Octavia and Diyoza, and while that’s certainly a perfectly fine thread to pull at, it never really works as the main draw of a single episode. It’s too expansive, too all-encompassing to achieve the kind of personal storytelling that The 100 excels at. When the episodes are about war and its overarching implications, something personal gets lost in the mix. Both Diyoza and Octavia have valid reasons for wanting to go to war and defend the lives of their people, but that kind of broad storytelling isn’t this show’s strength. Luckily, “The Warriors Will” is a welcome bit of course correction. It sounds so simplisitc, but what this week’s episode gets right is the focus on character arcs and not simply the plot that involves ever-escalating war. Diyoza is complete absent from this episode, and while Ivana Miličević has been very good in her role, perhaps the absence is a good thing. It gives The 100 a chance to explore how the original members of the Ark are coping with their changing circumstances years after Praimfaya. The first few episodes of the season gave us a good understanding of how each group survived during that time, but there was very little psychology. Now though, the reverberations are being felt, and the result is a lot of trauma and a lot of conflict. Trauma takes center stage in many of this week’s storylines. The most obvious comes in the form of Madi’s memories of other Commanders. She can feel their pain and understand their struggle. It’s a turning point for her. She understands the weight of history that’s following her, and to her credit she’s stepping up and willingly taking on the role, even as Clarke attempts to dissuade her from going up against Octavia. There’s trauma following everyone though, even if they don’t have a chip installed in their brain. Abby is dealing with her addiction yet again, allowing a horribly violent act to take place just so she can get her pills. More importantly though, Octavia is reckoning with who she is and what she’s done. The Red Queen is different from Octavia, as Indra states, and that’s because of what the Red Queen had to do in order to ensure the survival of her people while they lived in the bunker. That brings us to the most glaring issue with this week’s episode, which isn’t really isolated to “The Warriors Will.” Rather, the problem is with the season’s structure. It looks like next week’s episode will give us some insight into the “Dark Year” that those in the bunker have mentioned in hushed tones, and while it’s a welcome bit of backstory, it also feels like it’s coming too late. At this point in the season, should we not understand Octavia’s trauma and motivations more clearly? Should we not have a better grasp of why she’s been so ruthless, which has resulted in her sending her brother into the pits to die? Perhaps that would make the visual metaphors, with her staring into a fractured mirror, more poignant. I know I’m getting ahead of myself and I’ll certainly judge next week’s episode on its own merits, but I can’t help but wonder if the rather stagnant nature of the last few episodes could have been avoided by a simple restructuring of the season. 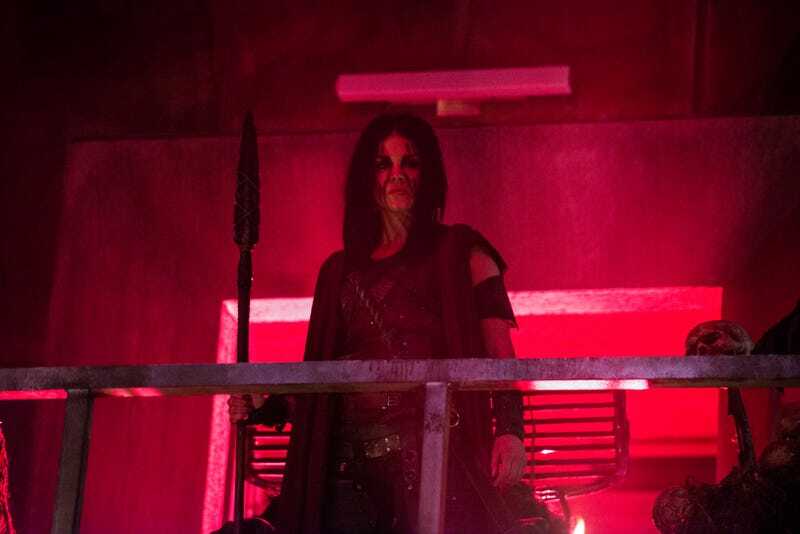 If The 100 had given us more insight into how Octavia came to be such a cold, unforgiving leader—or “dictator,”as Monty calls her—perhaps we could have avoided the familiar storytelling that’s been present the last few weeks. With all of that said, “The Warriors Will” moves the season in the right direction. It focuses on the stories and relationships that matter most, and has little time for the grandiose spectacle of the war for the Shallow Valley. By laying out the personal stakes inherent in this season, The 100 has set itself up nicely for the final stretch of this season. Here’s hoping it can follow through. McReary has a deal for Abby: “Fix me, and you get your fix.” She refuses, but it doesn’t seem to make much of a difference in the end. “I gave you nothing. That strength was already there.” Another great scene with Indra and Octavia this week. Kyle Fowle is a freelance writer based out of Canada. He writes about TV and wrestling for The A.V. Club, Real Sport, EW, and Paste Magazine.